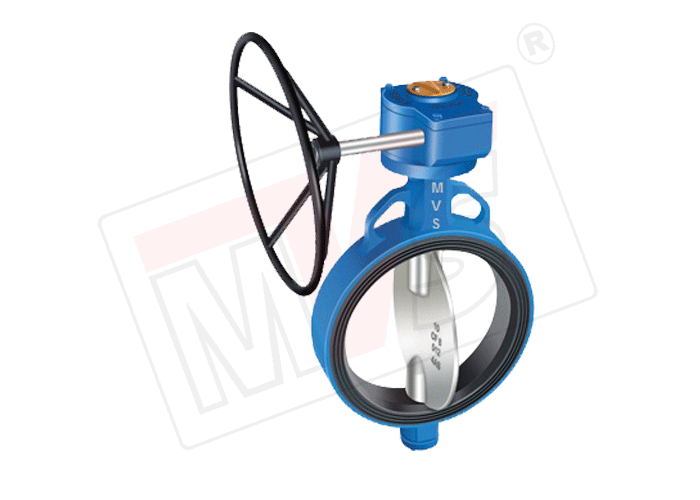 MVS Integrally Moulded Wafer Butterfly Valve is available in pressure rating of PN 10, PN 16, Class 150. 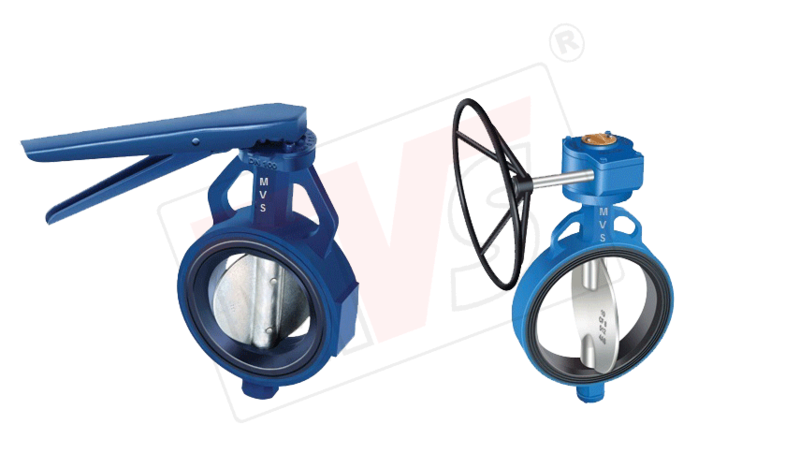 MVS Resilient Seated Wafer Butterfly Valve is available in Body and Disc Material of Cast Iron, SG Iron, Carbon Steel (WCB), SS 304 (CF8), SS 316 (CF8M). Our Wafer Butterfly Valve comes with wide range of Rubber Liner Options like Black Nitrile, EPDM, Viton, Hypalon, Silicon etc. 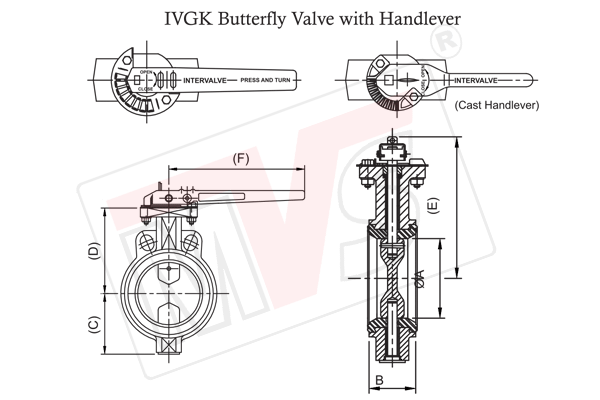 MVS Wafer Rubber lined Butterfly Valve Operation options include Lever, Gear Unit, Motorised, Electrical Actuator, Pneumatic Actuator (Double / Single Acting). 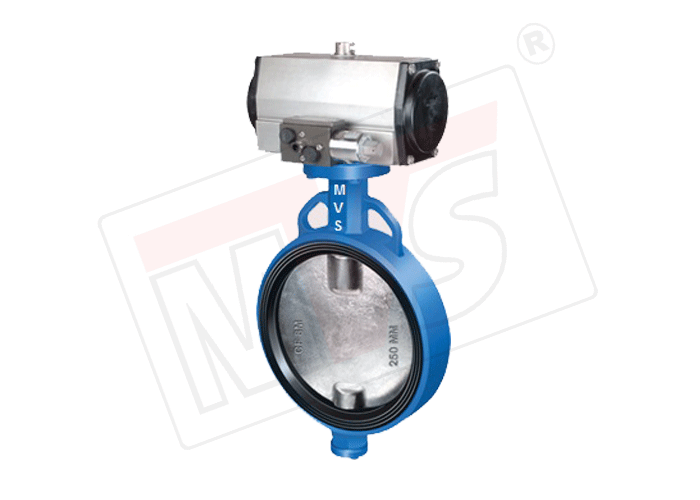 MVS Wafer Butterfly Valve can also be supplied with special arrangement of Long Neck, Extended Stem, Locking Arrangement, Limit Switch and Chain Wheel Operator. 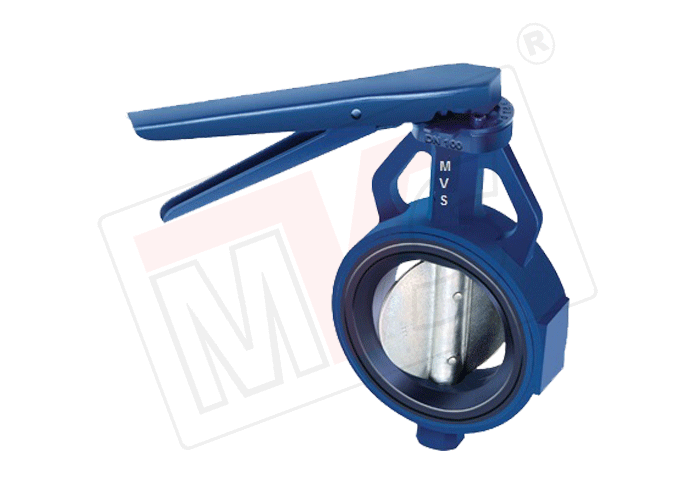 Wafer Butterfly valve incorporates the optimum design features to provide long trouble free service in the field. 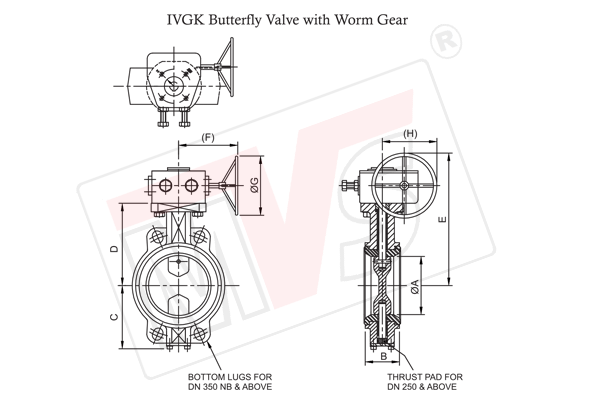 This general purpose soft seated Butterfly valve has a fully rubber lined single piece body with centric disc construction and is available in wafer type body pattern. The body liner which also functions as the soft seat, comes in either a replaceable version or an integrally molded (bonded) version and offers 100 % bi-directional sealing against vacuum to rated pressure of PN10 or PN16. The wafer style body has universal design to fit between pipe flanges of almost all popular flange standards. Integrally molded seat liner on the body, which ensures excellent dimensional stability & guaranteed seat tightness. Seat liner extending on to the contact faces ensures perfect sealing and eliminates the need for separate flange gaskets. Unique triple sealing system for shaft sealing ensures zero leakage of the media past the shaft seals. Narrow land disc ensures perfect sealing with least operating torque requirements. A fully universal body design ensures fitment of the valve between companion flanges of all popular standards (viz: ANSI, BS, DIN, JIS, IS etc. ). A ten position notch disc and handlever ensures locking of the valve in 8 intermediate position in addition to closed and open position. Handlever lockable through pad lock for tamper proof positioning. Body castings made of superior FG 260 grade cast iron to ensure additional strength. Valve disc made of ductile cast iron instead of cast iron to withstand against possible water hammer or pressure surges. A truly line size body bore to ensure maximum flow capacity with the lowest pressure drop. Shafts made of martensitic stainless steel to ensure maximum strength and torsional rigidity. Both top and bottom shaft swiveling are guided by self – lubricated PTFE bearings. Fool proof handlever designed to prevent accidental pinching of hand between the handle and locking lever.